Bankruptcy liquidations are governed by the Bankruptcy and Insolvency Act (BIA). Restructuring proceedings may be initiated under the BIA or the Companies’ Creditors Arrangement Act (CCAA), both of which are federal legislation. The BIA provides for both reorganisations and liquidations of insolvent businesses and individuals. The CCAA provides for only reorganisations or liquidations of corporate entities, although the courts frequently authorise significant asset sales in CCAA proceedings. The CCAA applies to a company or an affiliated group of companies with liabilities in excess of C$5 million. Where complex or fundamental changes must be made to the shareholdings and debt structures of corporations, the ‘arrangement’ provisions of the Canada Business Corporations Act (CBCA) and comparable provincial legislation may be applicable. CBCA corporate reorganisations can include amalgamations, liquidations, dissolutions or a combination of any of these. Occasionally, ‘arrangement’ proceedings are used in conjunction with reorganisations under the BIA or the CCAA. Federally incorporated banks and insurance companies are excluded from the BIA and CCAA and are dealt with under the Federal Winding-up and Restructuring Act (WURA). The BIA also excludes railways, savings banks, insurance companies and trust and loan companies. Upon bankruptcy, the debtor’s property vests in the trustee in bankruptcy with certain exceptions. Property owned by third parties or held in trust by the debtor for third parties does not vest in the trustee. Certain types of property are exempt by provincial and federal statutes from claims of creditors (eg, pension benefits, retirement plans and household goods). The Canadian experience is limited in this regard. Although there are no specific provisions in the BIA, WURA or CCAA pertaining to government-owned enterprises, there is some limited case law in which Canadian courts have held that bankruptcy legislation is not applicable to government-owned enterprises such as cities and school corporations. In some cases, government-owned enterprises are specifically prohibited from initiating formal insolvency proceedings by legislation. In addition, legislative reforms have imposed strict borrowing limits and regulatory oversight upon such entities as safeguards against default. Where the potential for default is significant, the provincial or federal government has the power to intervene and assume control of the defaulting entity. The pursuit of contractual claims can be complicated depending on the nature of the government-owned enterprise. For instance, although creditors are generally able to initiate court proceedings against a government-owned enterprise, prior to doing so, they must deliver formal written notice to the government entity setting out particulars of the proposed claim within a prescribed period of time, otherwise they will risk having the court proceedings dismissed. Another consideration is determining the level of court, either federal or provincial, in which the claim against the government-owned enterprise can be commenced. Several of Canada’s largest banks have been designated as ‘too big to fail’ by the federal regulator, the Office of the Superintendent of Financial Institutions. The designation stems from the framework issued by the Basel Committee on Banking Oversight and means that such financial institutions are subject to increased capital requirements and supervision. The measures are designed to limit the likelihood that a major bank failure would negatively affect the Canadian economy. Under federal bankruptcy law, the superior court in each of Canada’s provinces has jurisdiction over bankruptcy matters. There is no formal, separately established bankruptcy court. Superior court judges in the common law jurisdiction provinces are considered to have an inherent jurisdiction to deal with matters, even if there are no specific statutory provisions dealing with a particular matter. A voluntary liquidation under the BIA commences when a debtor files an assignment in bankruptcy with the government bankruptcy office, accompanied by a sworn statement listing its assets and obligations. All of the debtor’s unencumbered assets vest in its bankruptcy trustee, subject to the rights of the debtor’s secured creditors to deal with their collateral. Unsecured creditors’ remedies against the debtor’s assets are stayed, but there is only a very limited stay against proceedings by secured creditors. Voluntary reorganisations under the BIA are commenced by either filing a proposal (which constitutes the debtor’s reorganisation plan) or by filing a notice of intention to file a proposal. In either filing, an automatic comprehensive stay of proceedings is invoked, which remains in place until the debtor successfully completes its reorganisation or its reorganisation fails. Where a notice of intention is filed, the debtor must file cash-flow statements for its business within 10 days and must file its proposal within 30 days. The court can extend the time for filing a proposal (provided that the debtor is proceeding with diligence and in good faith) for up to a maximum of six months, although it can only grant extensions for up to 45 days at a time. The debtor normally carries on its business in the normal course, subject to review by the proposal trustee and the supervision of the court. To commence a voluntary reorganisation under the CCAA, a debtor must make an application to the court for reorganisational protection under the CCAA. In granting relief to a reorganising debtor, a Canadian court will routinely grant a very comprehensive stay of proceedings against actions by creditors while the debtor’s plan is being negotiated and developed. If relief under the CCAA is granted, the court appoints a ‘monitor’ as an independent court officer to look after the interests of the creditors generally and to report to the court and to the creditors on the debtor’s progress with its reorganisation. Both CCAA plans and BIA proposals must be accepted by a ‘double majority’ of creditors (ie, by 50 per cent in number holding two-thirds in value of the unsecured creditors voting on a BIA proposal and by 50 per cent in number holding two-thirds in value of each class of creditors voting on a CCAA plan) and approved by the court. Creditor classes in CCAA proceedings are established based on a ‘commonality of interest’ test. The court will approve a plan or proposal that has been accepted by creditors as long as it is ‘fair and reasonable’ from the point of view of the general body of creditors. A BIA proposal or plan of reorganisation may provide releases for non-debtor third parties provided that it is demonstrated that the releases are rationally related to the purpose of the plan or proposal, that they are essential to the success of the plan, that they are not overly broad or offensive to public policy and that the parties receiving the releases contributed to the successful plan or proposal. A creditor can initiate involuntary liquidation proceedings in respect to a debtor under the BIA if the creditor has an unsecured claim of at least C$1,000. To obtain a bankruptcy order, the creditor must establish that the debtor is insolvent and has committed an ‘act of bankruptcy’ within the six months preceding the commencement of the case. The most common ‘act of bankruptcy’ is failing to meet liabilities generally as they become due. A debtor can also be placed in liquidation under the BIA if its proposal (see question 11) is rejected by its unsecured creditors or is not approved by the court, or if certain filing deadlines are not met. The practical effect of a liquidation is the same whether it is commenced voluntarily or involuntarily. Under the BIA, a receiver or bankruptcy trustee can commence an involuntary reorganisation on behalf of the debtor over which it has been appointed. Involuntary BIA reorganisations commenced by creditors are rare. Creditors can commence involuntary reorganisations under the CCAA, but these are also infrequent. The stays of proceedings against actions by creditors in involuntary reorganisations are comparable to those in voluntary reorganisations. In voluntary reorganisations, however, the debtor is more likely to be able to create a broader reorganisational framework of protective court orders than a creditor could obtain in an involuntary reorganisation that is being resisted by the debtor. Neither the BIA nor the CCAA contains formal procedures for implementing expedited reorganisations. Nonetheless, the provisions of both statutes are flexible enough to accommodate pre-packaged reorganisations at a very early stage in restructuring proceedings. With sufficient advance planning and creditor consultation and support, ‘pre-packaged reorganisations’ can be accommodated in both BIA proposals and CCAA plans. A BIA proposal must be approved by at least 50 per cent in number and two-thirds in value of the claims of unsecured creditors voting on the proposal. If this approval is not received from the creditors, the debtor is automatically placed in liquidation. If a secured creditor class votes against the proposal, an automatic liquidation does not take place, but the stay of proceedings against the secured creditors of that particular class ends. A proposal will also fail if the court refuses to approve it. Subsequently, if the debtor defaults in performing a proposal that has been approved by creditors and the court, the court may annul the proposal, which leads to an immediate liquidation of the debtor’s assets, although transactions properly undertaken during the reorganisation period are not nullified. Under the CCAA, there is no automatic liquidation if unsecured creditors reject the CCAA plan, but the court-imposed stay of proceedings may be terminated, allowing creditors to exercise their remedies. This could include a request to place the debtor into liquidation proceedings under the BIA. A secured creditor class that votes against the plan may thereafter deal with its security regardless of whether the plan succeeds or fails. Failing to obtain support from major secured creditors may jeopardise the liability of a plan. As in the BIA, the court must approve a plan before it becomes effective. The court may order the amendment of the debtor’s constating documents (ie, its articles of incorporation, by-laws and shareholder agreements) to reflect the terms of the debtor’s plan or proposal and can dispense with the requirement of shareholder approval. The CBCA and comparable provincial legislation allow shareholders to carry out non-insolvent liquidations and also provide for liquidation under the supervision of the court. A court liquidation may be instituted by the corporation itself (voluntary cases) or by a shareholder or creditor (involuntary cases). The ‘arrangement’ procedures in the CBCA and comparable provincial legislation that allow exchanges of securities and amalgamations have been used increasingly in complex reorganisations either separately or in conjunction with insolvency procedures. A corporate debtor in liquidation under the BIA can only obtain a discharge from bankruptcy by paying all of its creditors in full, which is usually accomplished by means of a BIA proposal. A liquidation case can conclude once the trustee has distributed the assets to the creditors and has obtained its discharge from the court upon reporting on the administration of the estate. A reorganisation in a BIA proposal is completed when the proposal is fully performed and a certificate of completion is issued by the proposal trustee. A CCAA reorganisation concludes when the CCAA plan is fully performed and the monitor is discharged by the court. A factual analysis is required to determine if a debtor is insolvent. A debtor is insolvent if they are unable to meet their obligations as they generally become due, they have stopped paying current obligations in the ordinary course of business as they generally become due, or their property is not, at a fair valuation, sufficient to enable payment of their obligations due and accruing due. Companies are not required to commence insolvency proceedings nor does Canada have legislation that imposes liability on directors when a company carries on business while it is insolvent or nearing a state of insolvency. As a general rule, unless the insolvent business is carried on in a manner intended to defeat or delay the claims of creditors or deliberately perpetrate harm or financial loss, there are no specific legislative remedies available apart from the ‘oppression remedy’ - a remedy arising under corporate legislation. The oppression remedy is a broad equitable remedy that permits the court to review and order appropriate relief in favour of creditors where a corporation or its directors have acted in a way that is oppressive or unfairly prejudicial or that unfairly disregards the interests of the creditors affected. There is no requirement that a company commence insolvency proceedings at a particular time. Provided that directors act in the best interests of the corporation and otherwise fulfil their statutory and fiduciary duties of care, they will generally be protected from personal liability. Directors are liable to employees for up to six months’ arrears of wages for services performed by the employees during their directorships. Directors are also liable for certain amounts payable by the corporation to governmental revenue authorities, such as unremitted source deductions (eg, income tax, government pension plan contributions, employment insurance premiums deducted from employees’ wages and, in certain circumstances, sales taxes that were collected but not paid by the corporation prior to bankruptcy). Directors may escape liability for these payments if they exercise the ‘due diligence’ and skill of a competent director. Directors and officers owe the same duties to a corporation whether it is solvent or insolvent. They must act in the best interests of the corporation, and work towards creating a ‘better’ corporation at all times. When determining the ‘best interests’, the directors may consider, among other things, the interests of other stakeholders, including employees, creditors, consumers, shareholders, governments and the environment. In a bankruptcy, the property of the debtor vests in the trustee in bankruptcy, leaving the directors without the ability to control the company’s property. However, directors retain certain limited residual powers and their directorships are not automatically terminated upon a bankruptcy filing. In practice, many directors resign when a company files for bankruptcy. In reorganisation proceedings, including proposal proceedings pursuant to the BIA and proceedings under the CCAA, the directors retain control of the debtor’s assets and oversee the development of the proposal that will be put to the creditors. Directors are more likely to remain in their positions in reorganisation proceedings, particularly if the goal is that the company emerge from the reorganisation in some form. In a BIA reorganisation, an automatic stay of proceedings is imposed on secured and unsecured creditors. However, the stay does not apply to those secured creditors who took possession of their collateral before the filing or who gave formal notice of their intention to enforce their security more than 10 days before the filing. The court can lift a stay in a BIA reorganisation if the creditor is likely to be ‘materially prejudiced’ by the stay or if it is otherwise equitable that the stay be lifted. In a BIA liquidation, there is an automatic stay of proceedings by unsecured creditors, but the stay does not affect secured creditors, who are generally free to enforce their security outside of the liquidation process. A limited stay of a secured creditor’s realisation in a liquidation can be sought from the court by the trustee to preserve the value of the assets of the estate. Although an unsecured creditor can apply to the court for relief from the stay, unsecured creditors are virtually never permitted to pursue seizure remedies. In a CCAA reorganisation, a very broad stay of proceedings is imposed against both secured and unsecured creditors. The initial period of the stay is limited to 30 days, although the stay period is usually extended by the court if the debtor is working constructively toward a suitable plan of arrangement. The CCAA contains no specific provisions dealing with relief from the stay but, in general, stays have been lifted where a debtor’s plan was likely to fail or where the debtor showed no progress in developing a plan of arrangement. During both BIA and CCAA reorganisations, the debtor typically continues to carry on business in the normal course. BIA proposal trustees and CCAA monitors must be appointed in reorganisations, but they do not normally play an active role in the debtor’s business operations during a restructuring except for transactions that are outside the ordinary course of business. Significant transactions that are out of the ordinary course of the debtor’s business must be submitted to the court for its approval. The role of trustees and monitors is generally confined to monitoring and reporting to the creditors and to the court as to the debtor’s business and operations, and the debtor’s progress in its reorganisation. During a reorganisation, parties to contracts with the debtor are prohibited from terminating their agreements on the grounds of insolvency, but they may require that the debtor pay for goods and services in cash. In reorganisation proceedings, directors and officers can usually (subject to an order to the contrary by the supervising court) carry on business in the ordinary course in normal and routine matters that do not require the approval of the court. In liquidations, where a licensed insolvency trustee is appointed, the assets and business of the debtor company vest in the trustee and the directors and officers have no further authority to act on behalf of the company. The result is the same in the case of receiverships, although the assets of a debtor corporation do not vest in a receiver in a receivership proceeding. In appropriate cases, the receiver may elect to operate the business to generate value and sell the business as a going concern. Provisions under both the BIA and the CCAA allow funding analogous to US debtor-in-possession financing. Under Canadian practice, there are fewer protective provisions regarding post-filing secured credit. For example, there is no provision for ‘adequate protection’. A reorganising company with a viable prospective restructuring, however, will be permitted to borrow and grant security ranking ahead of the claims of unsecured creditors. There is no ‘administrative expense priority’ available under either the BIA or CCAA for general post-filing credit obtained by the debtor in the normal course. While both acts contain provisions that creditors are not obliged to supply on credit, the CCAA also allows a court to order that a critical supplier continue to supply, on the basis of security over the debtor’s property. In liquidations under the BIA, the assets of the debtor (apart from assets that are subject to secured claims and assets that are held in trust) vest in the licensed insolvency trustee who is empowered to sell them with the permission of the inspectors of the estate. Sales of assets out of the ordinary course of business and, particularly, a sale of the debtor’s business as a whole, require the permission of the court. The rights of the debtor in a CCAA reorganisation to sell assets are set out in the court order that grants protection to the debtor. Sales of assets in the ordinary course of business are permitted, but sales out of the ordinary course of business, including a sale of the debtor’s entire business, require the permission of the court. In both BIA and CCAA proceedings, it is possible to conclude a sale of assets of the debtor, including a sale of substantially all of the assets of the debtor, without the necessity of awaiting a formal BIA proposal or CCAA plan. However, the court may not approve a sale unless it is satisfied that the debtor ‘can and will’ make the employee and pension plan payments required for approval of a BIA proposal or a CCAA plan. Stalking horse bids are becoming more common, but are not yet routine in Canadian proceedings. In such cases, it must be demonstrated that the sale transaction is warranted, the sale will benefit the stakeholders, no creditor objects to the sale and there are no better alternatives. If approved by the court, a publicised sale process is conducted in which superior bids are sought before a bid deadline, with a possible auction in the event there are multiple bids. Competing bids generated through this process will have to exceed the original bid price plus the break fee (representing the original bidder’s participation costs) to be considered a superior overbid. There has recently been limited acceptance of credit bidding in asset sales. In other words, allowing a secured creditor to bid some or all of its debt in lieu of making payment in order to acquire the assets to which its security attaches. Subject to the discretion of the court, secured creditors can bid up to the full face value of the secured claim, even if the value of the claim exceeds the fair market value of the assets. In considering a stalking horse credit bid, a court will require that the sale process allow sufficient opportunity for superior bids to be submitted. Where the debtor is particularly distressed, a court may consider a ‘pre-pack’ or ‘quick flip’ sale under the BIA or CCAA provided the court has evidence that there has been some form of reasonable marketing process, the sale maximises recovery and is supported by creditors. Support of the proposed monitor or court-appointed receiver will also be crucial. In both CCAA and BIA reorganisations, a restructuring debtor may disclaim burdensome or unfavourable contracts with the approval of the monitor or trustee or the court. Disclaimers are carried out by a simple notice or letter delivered to the counterparty. Counterparties who wish to challenge the disclaimer must apply to court for relief within 15 days of receipt of the disclaimer. In determining whether to uphold a disclaimer, the court will consider, inter alia, the prospects for a viable restructuring and whether the disclaimer will create significant financial hardship for the counterparty. Counterparties whose contracts have been terminated may file an unsecured claim in a CCAA debtor’s plan or a BIA debtor’s reorganisation proceedings for the damages caused by the termination. Certain types of contract, however, cannot be disclaimed, such as collective bargaining agreements, financing agreements where the debtor is the borrower, and leases of real property if the debtor is the lessor. Where a breach of contract occurs after an insolvency case is opened, the other party must be careful not to contravene the statutory and court-ordered protections that are given to the debtor. In most cases, this will require the other party to the contract to obtain the approval of the court for the exercise of any remedies against the debtor or even, if the court order prohibits it, for permission to cease its performance under the contract. This type of approval is rarely granted in bona fide reorganisations. The commencement of bankruptcy proceedings under the BIA does not automatically terminate a contract. A bankruptcy trustee is entitled to step into the shoes of the debtor and perform a contract (except for those that are personal in nature, such as employment contracts), and to require the other party to perform it as well. If, however, the trustee does not begin fulfilling the debtor’s obligations under a contract within a reasonable period, the other party can treat the contract as terminated. A bankruptcy trustee of a licensee may disclaim an agreement with the licensor. Although new provisions allow for a restructuring debtor to disclaim agreements, an agreement for the use of intellectual property rights may not be disclaimed by the restructuring debtor or the trustee of a licensor as long as the counterparty continues to perform its obligations under the agreement. Under the CCAA, a debtor remains in possession of its property and therefore continues to have the benefit of contracts to which it is a party. A CCAA initial order will typically prohibit third parties from terminating their agreements with the debtor. 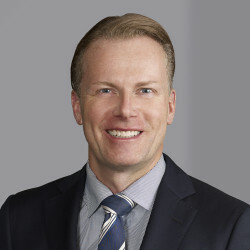 Although the BIA and CCAA are silent in respect to the use of personal information and privacy, the collection and use of personal information by private Canadian companies in the course of commercial activities in Canada is governed federally by the Personal Information Protection and Electronic Documents Act or by equivalent provincial legislation. Under this legislation, a business is required to obtain consent to collect, use and transfer an individual’s personal information. ‘Personal information’ is broadly interpreted, meaning that privacy legislation will impact the manner in which a debtor, licensed insolvency trustee or court-appointed receiver use or transfer personal information in insolvency matters. As determining whether consent was properly obtained may prove to be difficult or create an impediment to realisation efforts, parties often seek a court order that limits the need to obtain express consent in appropriate circumstances - such as in the context of a court-approved sale process. To that end, template court orders have been developed across Canada for use in insolvency proceedings that allow for personal information to be disclosed to prospective purchasers under confidentiality orders. In some cases, such as with personal health information, the purchaser may be required to notify the individual of the transfer and provide an opportunity to transfer such information if requested. Related to the use and disposition of personal information is the ability to communicate with third parties, for instance, as part of a sale process. Canada’s Anti-Spam Legislation (CASL) prohibits the transmission of a ‘commercial electronic message’ unless prior consent has been obtained from the recipient or the communication falls within one of the statutory exemptions. As the distribution of court orders, notices and other correspondence to stakeholders or interested parties in insolvency proceedings may be precluded under CASL, a court may grant an order exempting the application of this legislation on the basis that it would enhance a restructuring or realisation efforts, or both, for the general benefit of stakeholders. There are no specific provisions in the BIA or CCAA relating to arbitration processes. To the extent that arbitration proceedings are in progress at the time of the debtor’s filing, they would be subject to any applicable stay of proceedings. Within insolvency proceedings, there is judicial precedent for referring stakeholder disputes to alternative forms of dispute resolution such as mediation. Moreover, the practice in CCAA cases is to delegate responsibility for resolving creditor claims to ‘claims officers’, who are often senior insolvency lawyers or retired judges. Decisions of claims officers are subject to a right of appeal to the court. There are no specific provisions that preclude particular types of disputes from being arbitrated. In general terms, disputes that involve the application of public laws or policies that are regarded as matters of public policy or public order are considered to be non-arbitrable. Disputes in insolvency cases can be arbitrated, but the permission of the supervising court should be obtained in advance so as not to contravene any applicable court order and not to conflict with any procedures under way before the court. Although receivership is available as a court-ordered remedy, receivership can also be an out-of-court procedure (or ‘private receivership’) whereby a secured creditor appoints a receiver under its security to take possession of all or part of the debtor’s assets that are subject to its security. The receiver will usually sell the debtor’s business. Liquidations of businesses in out-of-court receiverships are becoming less common in Canadian practice, but are still often encountered in smaller cases. Secured creditors with security on movable property can enforce their security by seizure and sale either in court or out of court. Creditors with security on immovable property can take possession of and retain the property in satisfaction of their claims through court proceedings or sell the property out of court or in court proceedings to satisfy the obligations owed to them. In the absence of formal insolvency proceedings, an unsecured creditor must first prove its debt through proceedings in court. Once a judgment is obtained, assets of the debtor (including amounts owing to the debtor) may be seized and sold by a court officer, through a variety of mechanisms, to satisfy the judgment. The proceeds are distributed pro rata among all creditors holding judgments against the debtor in the locality in which the seizure took place. These remedies are not difficult or time-consuming unless the legal proceedings are defended. Although somewhat uncommon, pre-judgment attachments may be available in some provinces prior to judgment being recovered by the creditor. A creditor may also be able to obtain one of several types of temporary orders that have the effect of freezing or tying up personal or real property pending a court hearing on the creditor’s claims against it. There is no distinction between foreign and domestic creditors, except that a foreign plaintiff may be required to pay money into court as security for the legal costs of the defendant if the defendant is successful in having the creditor’s claim dismissed because of the ‘loser pays’ rule in Canadian litigation. In a bankruptcy, within five days of its appointment, the trustee in bankruptcy must send to all known creditors of the bankrupt, a notice of the bankruptcy and notice of the first meeting of creditors, which is to take place within 21 days of the trustee’s appointment and no earlier than 10 days after the notice is sent. The first meeting of creditors is held at the office of the Official Receiver, or a place designated by the Official Receiver, and the first meeting must involve the affirmation of the trustee’s appointment, a review of the bankrupt’s affairs, and the appointment of inspectors of the bankrupt’s estate. The trustee in bankruptcy must report from time to time on the condition of the bankrupt’s estate, including the moneys on hand, if any, and particulars of any remaining unsold property. In a proposal proceeding, the proposal trustee must call a meeting of all creditors within 21 days of a proposal being filed. The proposal trustee must send a copy of the proposal, with a statement of the debtor’s assets and liabilities, a list of all creditors owed C$250 or more, notice of the date and time of the creditor meeting, and a proof of claim form and voting letter at least 10 days before the meeting. Creditors must return a proof of claim form to the proposal trustee before the meeting in order to vote on the proposal at the meeting. In a reorganisation under the CCAA, the court-appointed monitor must, within five days of the initial order, post a copy of the initial order on its website, send a notice to every known creditor owed C$1000 or more advising that the initial order is available, and post a list of creditors on its website along with each creditor’s address and the estimated amount of their debt. This information will help creditors determine their position and inform them of the date and time of the comeback hearing, where the court will determine whether to extend the stay of proceedings. The court has a wide discretion to appoint legal and financial representatives on behalf of creditor groups in CCAA or BIA reorganisations. Such appointments are typically made in larger and more complex CCAA proceedings so as to provide representation for particular stakeholders, such as current and retired employees who may otherwise lack resources to participate effectively in the restructuring. Creditor representatives are appointed on application made on notice to affected secured creditors. Their powers and responsibilities are defined in the appointment order. Funding for their professional charges is normally secured by a court-ordered priority charge on the assets of the reorganising debtor. There is a form of creditors’ committee in BIA proceedings, but its primary function is to provide advice to the trustee and it does not have separate legal representation in the proceedings. If the bankruptcy trustee under the BIA fails or is unable to pursue remedies that would benefit the estate, a creditor may, with court approval, pursue the remedies and any benefit received will belong to that creditor and other participating creditors to the extent of their claims and applicable costs. Any surplus must be paid to the bankruptcy trustee. The distinctive feature is that creditors who do not participate in the proceedings do not share in any of the recoveries unless there is a surplus paid to the estate. Both secured and unsecured creditors must file proofs of claim with the BIA trustee or CCAA monitor, including creditors with contingent or unliquidated claims. In the BIA, there is no statutory time limit for filing proofs of claim, but a creditor that does not file a proof of claim cannot vote at meetings of creditors and will not receive a distribution on its claim. Once a proof of claim has been filed, the trustee or monitor either accepts or disallows the claim. A creditor that is dissatisfied with a decision of the trustee or monitor may appeal the decision to the court. Bar-date procedures for filing claims in a CCAA reorganisation are usually created by a separate court order and are not provided for in the statute. The court order will also prescribe the procedure for the creditor to follow on a disallowance of its claim by the monitor. Neither the BIA nor the CCAA contain provisions dealing with the purchase, sale or transfer of claims against the debtor. A transferee of a claim must provide formal notice of the transfer to the trustee or monitor to confirm the transfer. Claims are determined in a summary manner by the BIA trustee or the CCAA monitor, subject to appeals to a court-appointed claims officer or the court or both. If a proper and valid claim is acquired at a discount, it can be enforced for its full face value, absent any improper conduct by the holder of the claim. Interest on unsecured claims, with rare exceptions (as in a plan that provides for post-filing interest), will cease to accrue on the opening of a case and interest will not be payable thereafter on unsecured claims unless there is a surplus remaining after the payment of the principal amount of all claims. Interest on secured claims continues to accrue after the opening of a case up to the value of the collateral subject to the security interest. Canadian law recognises claims for ‘legal set-off’ and ‘equitable set-off’ in liquidations and reorganisations. Legal set-off requires that claims be both liquidated and mutual. Equitable set-off can exist regardless of whether debts are liquidated. Instead, the court looks at the connection between the various claims in respect of which set-off is asserted. If the connection between such claims would make it unfair or inequitable to permit one party to recover its claim without permitting the other party to set off what is owed to it, the courts will permit the claims to be set off against each other. Valid set-off claims are expressly preserved in the BIA. In a CCAA reorganisation, the initial court order may suspend the exercise of rights of set-off. Set-off will, however, be recognised and permitted for the purposes of creditors’ claims in a CCAA plan. Both the BIA and CCAA contain special provisions that expressly permit netting of particular types of financial contracts such as swaps, repurchase agreements and commodity contracts. Canadian experience in this area is limited, but continues to develop. In a handful of cases, it has been suggested that a court may modify the priority of creditors’ claims under the BIA to remedy unfair conduct. Other statutory measures exist to modify priorities in cases involving improper conduct. Excepting employee-related claims, major priority claims in liquidations and reorganisations include governmental claims for taxes withheld from employees’ wages, environmental clean-up costs, and real property taxes. Property held in trust by the debtor is not included in the property of the estate. Ranking below secured creditors under the BIA are specified preferred claims, such as administrative expenses, certain municipal taxes and rent arrears. Under the CCAA, there are no statutorily specified preferred creditors, although CCAA orders often provide for comparable priority claims. After secured and preferred creditors have been paid in full, unsecured creditors receive any remainder on a pro rata basis. The two common types of employee claims that arise when employees are terminated in restructurings or liquidations are for ‘termination pay’ and ‘severance pay’. Under Canada law, an employer must provide ‘reasonable notice’ when an employee’s employment is terminated. As such, when employees are terminated without such notice they are entitled to termination pay for the notice period to which they were entitled, which usually depends on the length of their employment with the employer. In addition, special rules for termination pay may apply where the employment of 50 or more employees is terminated within a short and specific period of time (eg, four weeks). These special rules vary from province to province in Canada. Claims for termination pay generally rank as unsecured claims in restructurings or liquidations. Some provinces additionally provide for severance pay according to a legislatively prescribed schedule that depends on the employees’ seniority and the length of employment with the employer. Severance pay claims also rank as unsecured claims in restructurings and liquidations. Employees are also given priority claims ranking ahead of all creditors for unpaid wages over the debtor’s liquid assets (ie, inventory, cash and accounts receivable) where the debtor is bankrupt or the subject of a receivership. This priority usually results in claims for unpaid wages being paid in full. A similar priority is given to employees for arrears of contributions to employee pension plans. Provincial governments in Canada generally regulate pension obligations and set procedures to determine the extent of employers’ obligations under pension plans. Pension plan deficiencies in defined benefit pension plans are generally treated as unsecured claims against an employer in insolvency proceedings. Where a pension plan is being wound up prior to insolvency proceedings being commenced, however, the pension plan deficiency will be given a super priority status with priority over the claims of other creditors including secured creditors. Such contributions are generally treated in this way regardless of whether the employer is undergoing a bankruptcy proceeding. In formal bankruptcy proceedings, the priority of pension deficiency claims is determined by federal insolvency legislation under which deficiency claims are generally treated as unsecured claims against the insolvent employer. However, unremitted amounts deducted from employees’ salaries and amounts required to be paid by the employer to the pension fund are the subject of a super-priority claim. There has recently been significant litigation over pension plan deficiencies in insolvencies in Canada in which the courts have considered such non-insolvency issues as the extent of the duties of the employer to the pension beneficiaries on the particular facts involved. Canadian environmental legislation imposes duties and remediation responsibilities on anyone who has had management or control over property having environmental problems. These duties and responsibilities (including remediation responsibilities) extend to directors and officers of corporations that have environmental problems, even if they are no longer involved with the corporation. Moreover, to avoid liability, directors and officers must affirmatively prove that they acted properly and prudently to avoid environmental problems, which can be a difficult onus to discharge. In insolvencies, the environmental authorities are given a super-priority first charge for the costs of remediation over the affected property. In addition, insolvency administrators are given special protection from environmental liabilities created by the debtors. In a BIA liquidation, debtors are not released from pre-filing liabilities arising from fraud or from fines and penalties imposed by a court. In both BIA and CCAA reorganisations, the debtor and any purchaser of the debtor’s business are bound by collective bargaining agreements (labour agreements with unions) and remain liable for environmental clean-up costs. Further, pre-filing secured creditors continue to have claims against pre-filing and post-filing assets of the debtor in which they have been granted a security interest. Contractual claims against directors cannot be compromised under a BIA proposal or a plan of reorganisation. In a BIA liquidation, the trustee must first make payment of priority claims before making distributions to unsecured creditors. In a major case, a trustee will often make one or more interim distributions to unsecured creditors. A final distribution is made to unsecured creditors once all of the property of the debtor has been realised and all claims against the estate have been settled. Under a BIA proposal or a CCAA plan of reorganisation, distributions are made in accordance with the terms of the respective proposal or plan. Because plans and proposals are tailored to the specific debtor, distributions times and amounts will vary. Security on immovable property is usually taken in the form of a ‘mortgage’ or ‘charge’ that is registered in the Land Registry Office in the province in which the real property is located. Upon default, the secured party can usually choose between selling the property and claiming any deficiency in the amount owing from the debtor, or obtaining title in court proceedings to retain the property as its own, in which case its claims against the owner are extinguished. 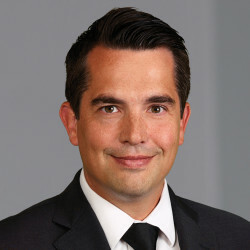 Security interests in movable property are dealt with on a province-by-province basis under provincial personal property security legislation in Canada’s common law provinces. This legislation provides the requirements for taking ‘security interests’ in ‘personal property’ through the mechanism of ‘security agreements’. It also prescribes conditions for enforcing security interests and the ranking of competing security interests. Finance leases of movables are generally considered to be security interests and, in many provinces, leases of movables for terms exceeding a year must be registered as security interests. Non-possessory security interests usually require registration in the general public registration system. dividends that are paid when a corporate debtor is insolvent. For TUVs, the court may annul the transaction or order that any party to the transaction (or any person privy to the transaction) pay the difference between the consideration and the fair market value involved in it. Trustees may also use provincial avoidance legislation to challenge pre-bankruptcy transactions. If a transaction is annulled, the trustee may recover property from the purchaser, unless the purchaser is a bona fide purchaser for value. The BIA precludes the payment of equity claims until all creditor claims are satisfied. The CCAA similarly stipulates that a court cannot sanction a plan of compromise or arrangement that permits the payment of equity claims before the claims of creditors are satisfied in full. In BIA proceedings, claims of related parties and non-arm’s length creditors are often postponed. The legislation provides that a non-arm’s length creditor that enters into a transaction with the debtor prior to the debtor’s bankruptcy is not entitled to a dividend in respect of that transaction until the claims of all other creditors have been satisfied unless, in the opinion of the trustee or the court, the transaction was a ‘proper transaction’. Canadian courts are receptive to recognising insolvency and reorganisational proceedings in other jurisdictions and to coordinating administrations of Canadian assets with administrations in other countries. The principal means of doing so is through the use of cross-border insolvency protocols. A creditor that is related to the debtor can vote against, but not for, the debtor’s plan of compromise or arrangement. Cross-border insolvency protocols have been adopted and approved by the courts in several dozen major cases involving Canada and the United States. Additionally, joint hearings have been held between courts in Canada and the United States in many recent cross-border reorganisations. For reasons of efficiency, insolvency proceedings of corporate group members may be consolidated on a procedural basis. Under the BIA, a court may grant an order procedurally consolidating the insolvency proceedings of several related debtors. In proceedings under the CCAA, a corporate group may bring a single application. However, each of the members of the corporate group must qualify as debtor companies under the CCAA. Corporate debtors may also be added to the proceedings at a later date upon a motion by the applicants. Canadian courts have occasionally permitted substantive consolidation of estates. In determining whether or not substantive consolidation is appropriate, courts will consider a number of factors including the difficulty of segregating assets, the intertwining of corporate functions, whether particular creditors will be prejudiced by consolidation and whether consolidation is fair and reasonable in the circumstances. Canada has a treaty with the United Kingdom that provides for the reciprocal enforcement of judgments as between the two countries. It has been implemented by both the federal and provincial governments, except Quebec, and sets out a streamlined process for registration and enforcement by the court of a foreign judgment for the payment of money. Otherwise, apart from Quebec, the matter is dealt with in accordance with the common law. Generally speaking, a Canadian court will enforce a foreign judgment for a sum certain, without reconsideration of the merits, where the action to enforce is commenced within the applicable limitation period, the decision is final in nature, and there is a real and substantial connection between the jurisdiction in which the judgment was obtained and the subject matter of the action. A foreign non-monetary judgment (eg, for injunctive relief) can also be enforced, provided that it is not quasi-criminal or penal in nature (such as a foreign contempt order). In determining whether to enforce a foreign non-monetary judgment, a court will consider a variety of fairness factors including whether the foreign order is clear and specific, whether third parties are affected, and whether the use of judicial resources is consistent with what would be allowed for domestic litigants. Canada adopted substantially all of the UNCITRAL Model Law on Cross-Border Insolvency in 2005. Foreign creditors are dealt with in accordance with their relative priorities, which is the same as domestic creditors. There is some precedent for doing so. Asset transfers of this nature would need to be court approved on notice to all affected parties. The general approach of Canadian courts is to determine the location of the registered (head) office of a corporate debtor. The COMI of the debtor will then be presumed to be in that jurisdiction. This presumption can be rebutted by evidence showing that the head office functions of the debtor are located in another jurisdiction. The test is to establish where the ‘nerve centre’ of the debtor’s business is located and that jurisdiction will be regarded as its COMI for insolvency purposes. Thus, in several cases, the COMI of a company incorporated in Canada and with its head office in Canada has been held to be outside Canada in the jurisdiction of the parent company where the debtor was a member of a corporate group that was operated and controlled in the other country. Canadian courts have identified three main criteria for determining the location of the COMI of a debtor: the location is readily ascertainable by creditors; the location is one in which the debtor’s principal assets or operations are found; and the location is where the management of the debtor takes place. Reference in this regard can be made to the Principles for Coordination of Multinational Enterprise Group Insolvencies that have been promulgated and approved by the membership of the International Insolvency Institute (at www.iiiglobal.org). Canadian courts have long been receptive to cooperating with courts in other countries in multinational cases. Several Canadian courts have adopted and approved the use of the Guidelines for Court-to-Court Communications in Cross-Border Cases (the Guidelines) developed by the American Law Institute and the International Insolvency Institute. The objective in approving the Guidelines is to facilitate cooperative procedures in insolvency proceedings that involve cross-border and international cases. There are several recent examples of major cases (eg, Nortel and AbitibiBowater) where there has been careful coordination between Canadian courts and courts in other countries in the development and progress of cross-border reorganisations and restructurings, which has resulted in improved outcomes for stakeholders. Canadian courts have a long history of recognising foreign proceedings and a strong history of cooperating with foreign courts in international insolvency proceedings and have rarely refused to recognise proper foreign proceedings or to cooperate and coordinate with foreign courts. Canadian courts have been receptive to recognising insolvency and reorganisational proceedings in other jurisdictions and to coordinating administrations of Canadian assets with administrations in other countries. The principal means of doing so is through the use of cross-border insolvency protocols. 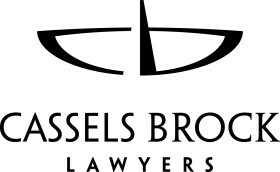 Cassels Brock Canadian law firm focused on serving the transaction, advocacy and advisory needs of the country’s most dynamic business sectors. Our nimble platform allows us to work effectively with organisations of all sizes and types and to handle domestic and international engagements of every nature and complexity.